Here’s the skinny: There will be certain times within the 3 years of your Saturn return where it’s more intense. Since Saturn is the Realist, concrete events will occur during these times. Then the demand of Saturn will weaken and, hopefully, you will review what you’ve achieved. 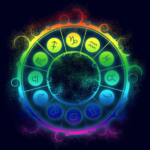 The specific dates of the most potent hits are determined by either a visit to your astrologer or a look at the astrologer’s bible, which is called an emphemeris. When I was a novice astrologer, I made the mistake of telling a woman that she was in the “shortest Saturn return I’d ever seen in my life.” I had only taken into account those times when Saturn was bearing down and insisting that she do what was necessary to cross into adulthood. Needless to say, she never returned–and I learned the true nature of the Saturn return. I am on the brink of beginning my own Saturn return, but the second one this time. The second Saturn return will be the subject of the next blog entry. If you’re currently in your Saturn return–and Saturn is in Virgo, by the way–what have you experienced? If it’s looming on the horizon on October 31, 2009, what are your questions? Saturn Return: What Is It, Who Does It and When? Born between November 17, 1977-September 20, 1980? You’re experiencing one of the most pivotal, life-changing astrological events of your life: the first Saturn return. When did it begin? September 3, 2007. It comes to a close on July 21, 2010. Saturn is the planetary CEO. The Goal-Setter. The Timekeeper. At the time Saturn returns to the place and sign it was when you were born, it’s time to grow up–for real. The twenties are a vision quest, during which you make youthful mistakes and prepare to enter adulthood. In the later twenties, there is a sense of urgency. The need for direction. An awareness of responsibility, and the consequences of your actions. The Saturn Return is a red-flag. It alerts you to the fact that you’ve matured beyond certain beliefs, attitudes and conditioning of family, culture and society . It’s a series of shocks: it heralds such life-altering events as marriage, divorce, becoming a parent, buying (or selling) a home, changing careers, leaving it all behind and traveling the world, developing a new philosophy. How to optimize this experience? There is a certain ennui, or boredom, built in. A sense of stagnation. An urge to change things up in a way that reflects your entry into true adulthood. You must choose mountains to climb. Goals to reach. Worthy challenges to face. This requires faith and true grit. Meet these demands and Saturn helps you achieve them. What you achieve during this time lays the foundation of your life until the second Saturn return at approximately 57. Fail the Saturn return and you fail yourself. I did this; I left my husband at 30 and began living the wild life I’d lived before in my 20’s. Before too long, it became obvious that my friends were settling down. Becoming adults. I was a big kid in a grownup’s body. It took a long time to get back on track–Saturn is the planet of karma. It will be patient for a long time, but then there is payback. On the heels of this realization, however, I began to devote myself to my astrology practice which, over 25 years, now thrives. If I had used my Saturn return time wisely, however, it would not have been such a long haul. On October 31, 2009, those of you born from September 21, 1980-August 23, 1983 begin your Saturn return. It concludes on Oct 6, 2012. You’ll notice that yours overlaps with those a few years older than you. More about that later.